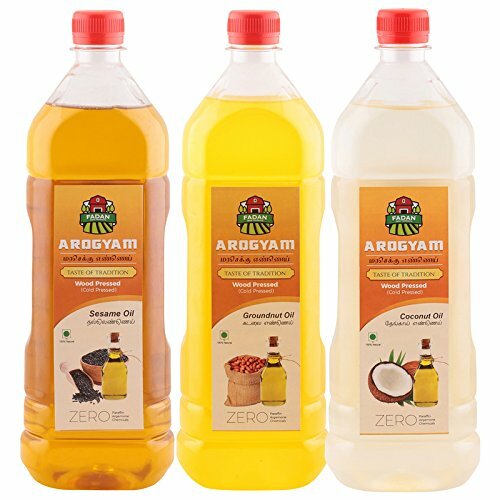 Arogyam cold pressed/wood pressed sesame,groundnut & coconut oil combo pack each 1000ml. 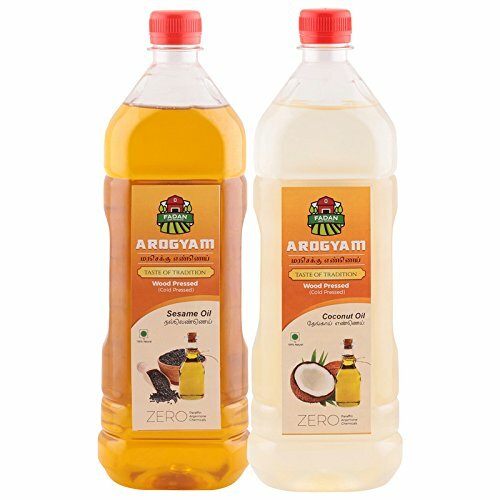 Arogyam wood pressed/cold pressed oil combo pack each 1000ml sesame & coconut oil. Sesame oil is an edible vegetable oil derived from sesame seeds. 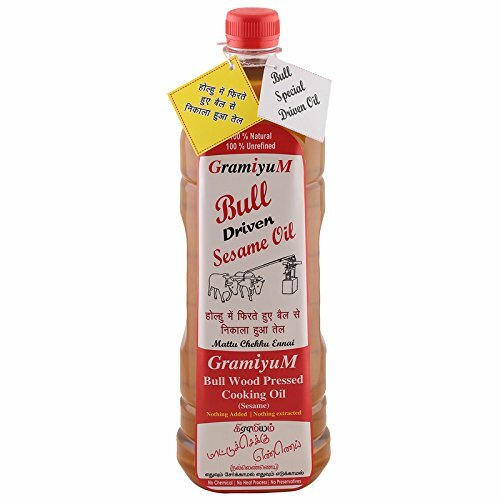 Besides being used as a cooking oil in South India, it is often used as a flavour enhancer in Korean, Chinese, Japanese, Middle Eastern, and Southeast Asian cuisine. It has a distinctive nutty aroma and taste.Coconut oil is one of the few foods that can be classified as a "superfood".Its benefits include weight loss, better brain function, skin health and many more.Coconut oil has been demonized in the past because it contains saturated fat. 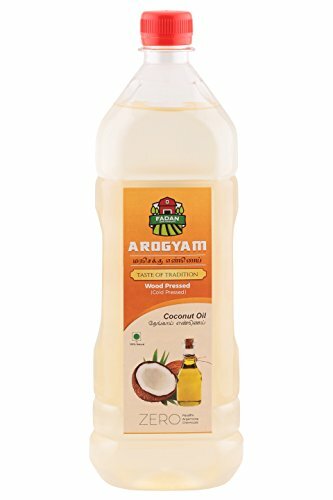 Arogyam cold pressed/wood pressed oil combo pack each 1000ml coconut oil. Havells India Limited is a leading Fast Moving Electrical Goods (FMEG) Company and a major power distribution equipment manufacturer with a strong global presence. Havells enjoys enviable market dominance across a wide spectrum of products, including Industrial and Domestic Circuit Protection Devices, Cables and Wires, Motors, Fans, Modular Switches, Home Appliances, Air Conditioners, Electric Water Heaters, Power Capacitors, Luminaires for Domestic, Commercial and Industrial Applications. 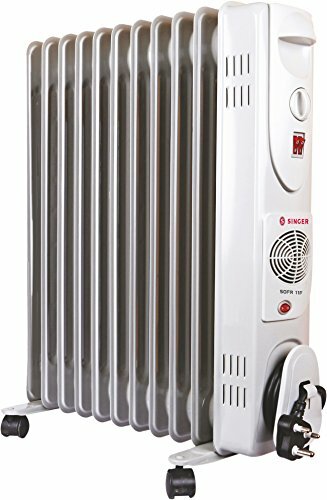 Singer OFR 11F room heater comes with safety measurements through protective metal coating, instant heating, as well as safety certification. It has a 3-way heating effect which creates a quick heat in the entire space. With its 800, 1200 and 2000 watt power capacity, it not just functions fast but also stays in active mode every time the temperature drops. 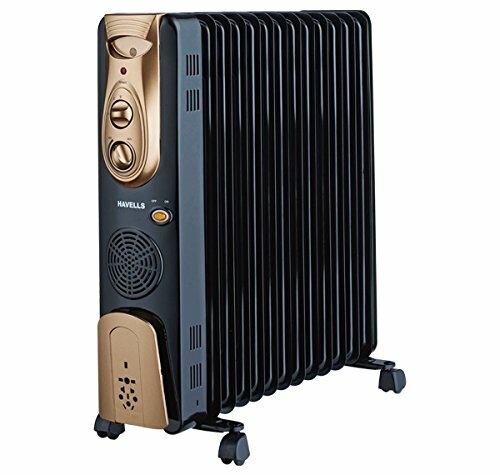 It has powder-coated 11 fins oil-filled radiators that work as excellent rust protectors leaving behind a durable room heater. 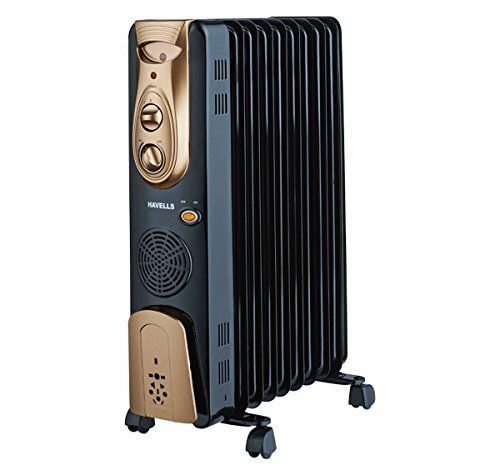 Horizontally less space taking while vertically good enough to start working in every corner of the room, Singer room heater also has Nylon Castor wheels and metallic back cover for safety assurance. Also, it has got a smart overheating protection. This room heater has an inbuilt tip-over switch and rollers to move it all over as needed. With a warranty of 2 year, Singer room heater has got the important ISI certification mark along making it a safe buy for home. 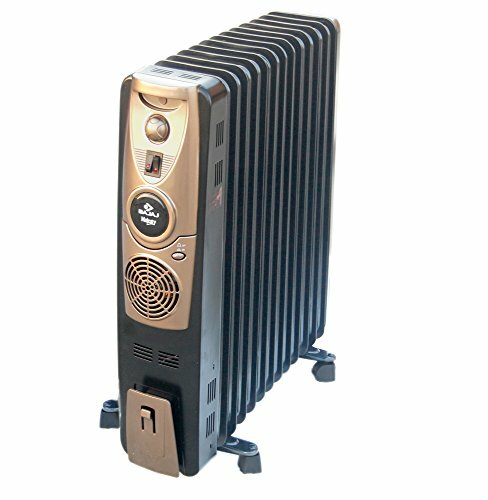 With better performance than most of the room heaters because of its world-class ED/HD oil grade system, this room heater is supreme in its quality. 800, 1200 and 2000 watt power motor. Works on a 220-240 Power voltage. Stay warm and cozy this winter with Havells' comprehensive range of heating solutions. Get uniform distribution of heat in every corner of your home. Our electric heaters for homes are safe to use, consume less electricity, and retain heat long after you turn them off. Powerful and quick heating without drying out your home environment. Havells 9 Fin OFR comes with 3 power settings, and a host of safety feature. Remain cozy throughout the year with the Havells range of Oil Filled Radiators. General Brand Bajaj Model Name Majesty OFR RH 9 Plus Type Oil Filled Radiator Colour Brown & Golden Warranty Warranty Period (in Months) 24 Body Heating Element Oil Over Heat Cut Off Yes Power Power Consumption (Watts) 2000 Feature Safety Features Yes Additional Features Auto thermal cutout.Safety tilt switch Dimensions Product Length (cm) 54 Product Width (cm) 17 Product Height (cm) 73 Product Weight (kg) 11.52 Box Contents In The Box Main Unit: Caster Wheel Set:Set of U Clamp Description Room Heaters prove to be the most useful appliance during winters. Here is the Bajaj Majesty OFR 9 Plus Room Heater that will keep you warm in the biting cold days of winter. The added advantage that this heater has is the cord winder and a noiseless operation. It also has adjustable thermostat for desired temperature. The heater comes with triple heat settings. It has caster wheels for easy mobility and has international design and styling. 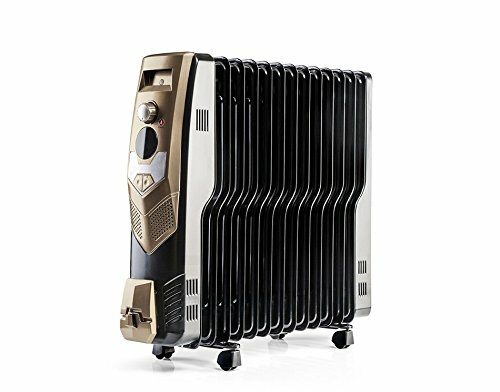 The Bajaj Majesty OFR 9 Plus Room Heater has five safety features, they are,Thermostat cut-off, Safety tilt switch to safe guard against improper installation, manually reset thermal cut-out, Auto reset thermal cut-out and Thermal fuse.A BIS (ISI marked) approved product, the heater is made in India and comes with a guarantee of 2 years.